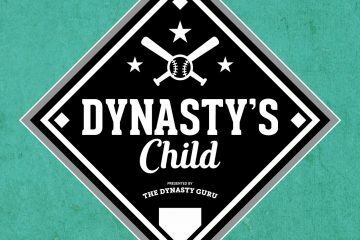 I signed up for a newly-formed 20-team dynasty league so that I could write about building a roster the old-fashioned way (as opposed to the series on my rebuilding project). It is a 7×7 H2H league that uses all of the standard 5×5 categories, plus OPS/Total Bases for hitters and Quality Starts/Holds for pitchers. The active rosters are one player per position (OF are broken out by LF/CF/RF) plus a Utility player on offense, and nine pitchers (2 SP, 2 RP, 5 P). On top of that, there are 7 reserve spots, 3 DL spots and 20 minor league spots. So, all in all, it’s a very deep league with an active lineup that skews a little towards pitching and deep minor league rosters (400 total prospects will be rostered). Oh, and by the way, I’m the Minnesota Twins. So here is a review of rounds four through six of the draft. I’m going to look at who I picked and why (along with others I was considering) and who the best/worst picks of the round were (mine excluded). Hopefully this helps with either your valuations of these prospects or the preparation for your own dynasty league draft. Cowart is a legit top-50 prospect with burgeoning power and a consistently improving approach at the plate. Almora has tools and will move fast for a high school hitter. If Fried was gone, Almora would have been my choice. Joey Gallo has buckets and buckets of raw power, but don’t worry too much about the video game power numbers he put up in the AZL – those records used to belong to Wladimir Balentein. He’s currently raking…in the NPB. Matt Adams had a shot to claim the Cards 1B job, but couldn’t do it. With no openings on the major league level and Oscar Taveras ahead of him, he may need a change of scenery to get anything more than a cup of coffee. Zimmer gets tucked slightly behind Fried as far as fantasy value goes among pitchers in the 2012 draft, but that’s nothing to be ashamed of. He will move fast and has as much upside as any arm in that system. Arcia improved his plate discipline a lot and could legitimately hit in the middle of the order for the Twins in 2014. I was very bummed when he came off the board (I would have taken him over Swihart). Bettis was a wasted pick – he missed the whole season with a shoulder issue and pitches in Colorado. Skole put up big numbers in Low-A (where he was old for the level), but really looks to be a Quad-A hitter. Next year will be a big test for him, as he’ll need to rake in Double-A to be taken seriously as a prospect. The 2012 playoffs have been Trevor Rosenthal’s coming out party, but he’s still got a good chance to be a solid 2/3 starter. If not, he’ll settle in as a potentially dominant bullpen arm. Crick may not have put up numbers quite as gaudy as his rotation-mate Clay Blackburn, but he’s got higher upside. And in case you haven’t noticed, the Giants have a pretty good track record of developing pitchers. Familia is a reliever, and he’s no guarantee to be a good one – his control issues can be pretty overwhelming, as was on display during his 10 IP audition this September. Can you tell I’m not a believer in Miles Head? He went from a 1.149 OPS in the Cal League to a .741 OPS in the Texas League – and the Texas League isn’t a bad place to hit. He has his work cut out for him to convince me he’s not a Cal League wonder.